Music-lovers of all ages are invited to go on an “organ crawl” with master organists Kevin Birch, Lorna and Carlton Russell, Gerald Wheeler, and Ray Cornils. 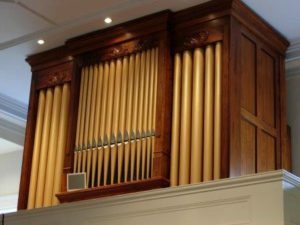 The tour will begin at St. Francis by the Sea Episcopal Church in Blue Hill, where “crawlers” will see and hear the Karl Wilhelm Anne Parson Memorial Organ. Then we’ll carpool to Stockton Springs Community Church to explore the 1847 E. & G.G. Hook organ, a fine example of early American organ building. Next stop, Elm Street Congregational Church in Bucksport, for a demonstration and tour of E. & G.G. Hook Opus 328, built in 1863. 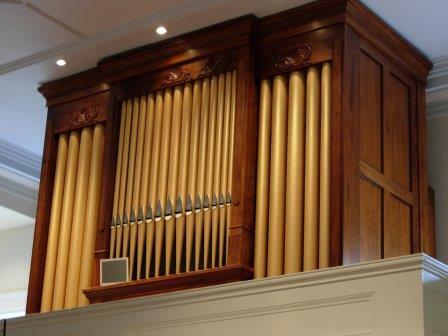 Finally, back in Blue Hill, we’ll be treated to the sounds of Ryder Opus 139, built in 1888 and restored for installation at Blue Hill’s First Congregational Church in 2005. This program is sponsored by Blue Hill Bach and is free.